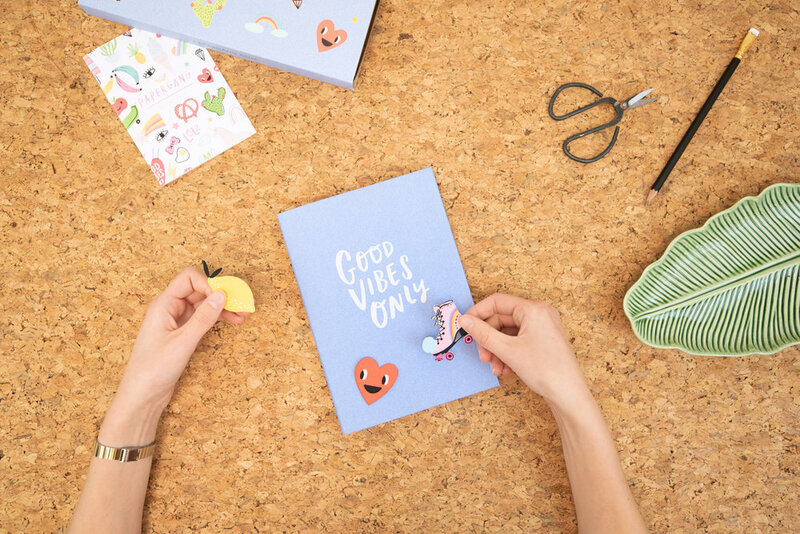 So you may have received your May Papergang box, filled with all things fun and funky by the super talented San Francisco studio, Hello!Lucky. Two of the items in the box were an A5 denim effect notebook and a set of three iron-on patches. We're going to show you what you can do with these items below to make your notebook look less nakey. Didn't sign up to Papergang? No worries! 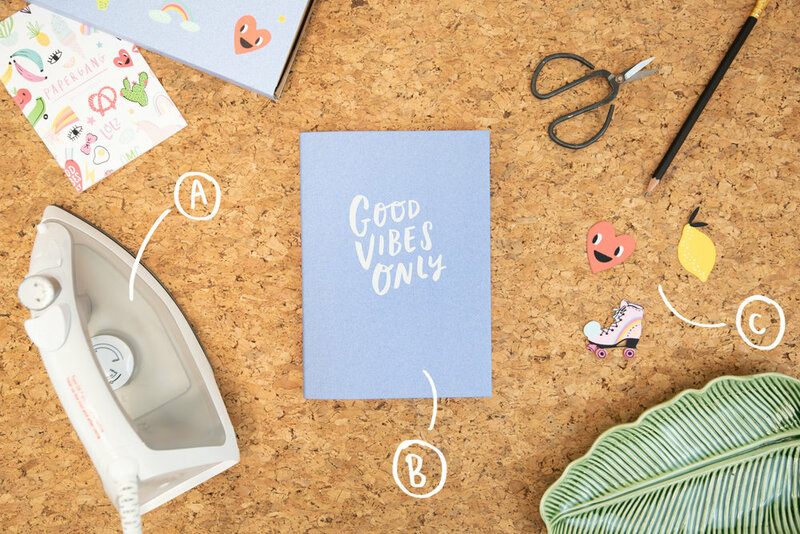 Shop our notebook and planner range to grab your own and continue to follow the D.I.Y below. B - Your notebook you wish to dress up! D - Have your own Daily Planner or Linen Notebook? You can also use that! E - Don't have the Hello!Lucky patch set? Use your own or shop online at Ohh Deer. Place your patches on your notebook where you think they look the best! Move them around until your heart is content. 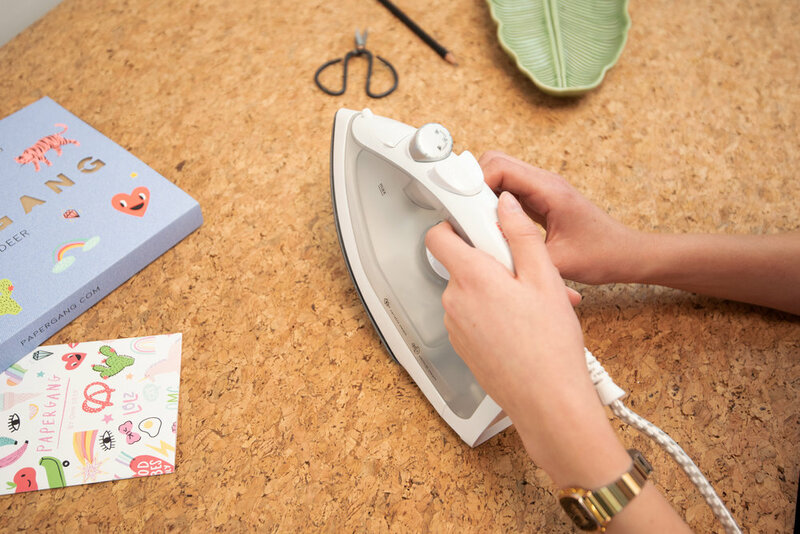 Set your iron to the "Linen" setting and wait for it to come to temperature. Be careful with your iron and try not to burn yourself! Iron over your patches for around 2 minutes each. Carefully see if you can peel them off - if you can, keep on ironing as the glue hasn't adhered just yet. If you're finding that your patches are leaving glue on your iron, place a tea towel in-between the iron and the patches. Leave your patches too cool down, and then you can admire your masterpiece! 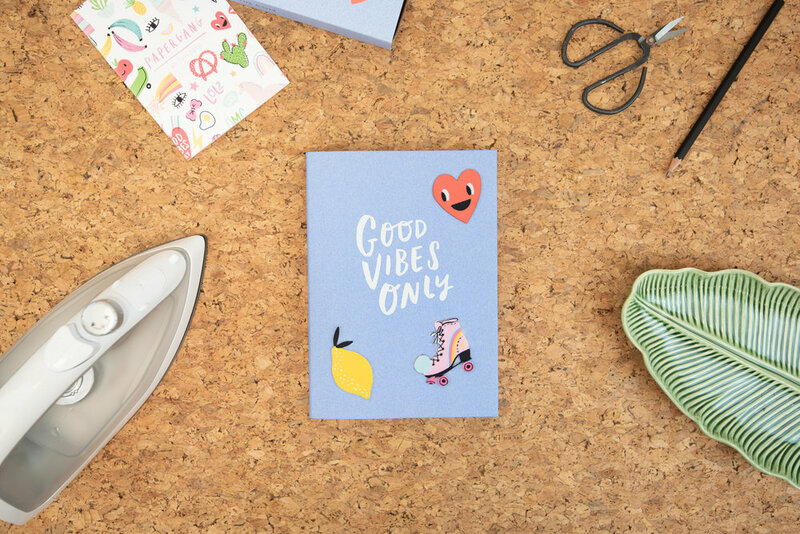 Share your own patch notebook creations with us on Instagram @ohhdeer and @thepapergang, or simply #ohhdeer. There's still time to subscribe to the box too! Head over to papergang.com to get signed up - for £10.95 you can recieve a box full of stationery goodness to your door each month.